Only properties with reviews in the last 12 months receive a rating. 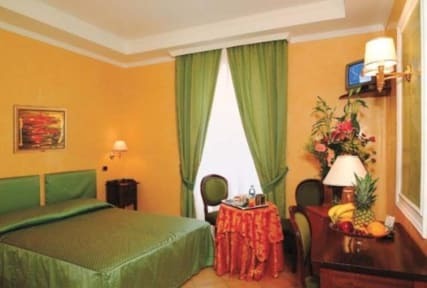 Welcome to Hotel Montreal, a three star hotel situated in an elegant building dating back to the late 800s ,completely restored in year 2004, located in the centre of the historical and beautiful city of Rome. All our rooms have private bathroom, air conditioning, direct telephone line, Internet access, mini bar, safety box in each room and satellite TV ,also we provide free of charge luggage storage for the day for all our guest.The hotel will offer you all the comforts you need and a very homely atmosphere. We have lovely private little garden with bougainvillea , jasmine,rose-bush and many other plants and flowers in a romantic environment, where after a long and enjoyble day visiting the eternal city you can relax and enjoy nice drink or just a italian cappuccino or coffee expresso. Qualified multilingual personnel are: at your disposal to meet all your needs with courtesy. 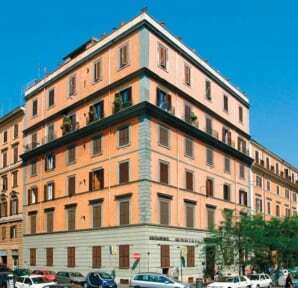 At your arrival you will receive a nice Wellcome Home ;a free city map with all the tourist informations regarding the eternal city of Rome.